SoHo Places offers an unique experience with Pods seatings for discussions and tables with screen monitors in a space where sounds is under control. 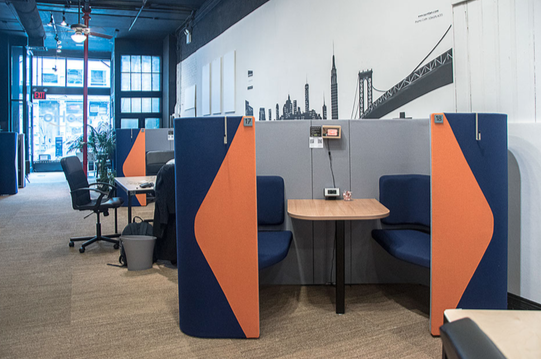 Our comfortable seating pods can accommodate one, two and up to four people to foster focus work and productive conversations. Solo seats offer more space and a screen monitor to increase your productivity. SoHo Places is also a space where Meetups, events and workshops are being hosted during the week and on the weekend. Check out events page to register to one of our events. $24/month for up to 5 hours per day. Only 50 memberships available. Because we care about improving freelancers' lives. Click to see our affordable plans designed to fit with your imprevisible schedules.